After a very brief ferry ride from Helsinki, we arrive in Tallinn, Estonia, where we will be for two nights and three days. My outfit for today was planned around two different forecasts for the weather, with Helsinki promising 14 degrees and potential rain, and Tallinn 20 degrees and cloudless skies. I wanted to be prepared for anything. Tallinn is absolutely gorgeous. The Old Town area where today’s outfit photos were taken is unlike anything or anywhere I have ever been before. I love wandering up and down the old cobbled streets and peering in the windows of little stores and boutiques and cafes. The outfit was mostly really comfortable, though I am concerned that the shorts are a little obscene. It has been an action packed 24 hours since arriving in Helsinki, but aside from just being here, the standout for me was taking a walk with my best friend to a park on the opposite side of Helsinki to see the Sibelius Monument, and to take my daily outfit photos there. The monument commemorates the life and musical achievements of Finnish composer Jean Sibelius (1865-1957), and was designed by sculptor Ella Hittunen. It is incredibly impressive to see in real life, when you’ve grown up seeing pictures on post cards and in books, and like a lot of Finnish sculpture it has a stark, brutal beauty, which I personally love. You’ll also likely notice, if you read the blog regularly, that I have had my head shaved, and I seem to be growing some sort of ratty travel beard. The hair was shorn to make a clean start for a new hairstyle and to avoid an awkward multiple-length phase, but I actually like it. The beard, much to the boyfriend’s horror, I am growing while travelling, just to see what it looks like. My Finnish blood means that I’m really bad at growing any sort of facial hair. I’ve always been curious about trying Sports Luxe as a style, and with incorporating this look into my own wardrobe. This jersey was a last-ditch effort to try and salvage an otherwise dismal thrifting adventure (for me) that I had recently with Heather and Jiawa. My chief issue has always been that I’m just not sports savvy: It took me several Google searches to narrow down which team this jersey represents (the Dallas Cowboys) and then more to figure out which sport they play (Gridiron, apparently). Trying Sports Luxe as a look has always felt a little disingenuous to me. I wore this out to dinner tonight with my sister and her boyfriend, and I have to say, it earned me a few odd looks. Mostly from my boyfriend. While I like the overall look with the blazer, I have to say I felt a bit ridiculous when I took it off. It is also a polyester mesh, meaning it was a poor choice for a Canberra winter evening! I think that I’ll try to wear it again, but I’m not sure that Sports Luxe is really for me. If there is one thing Canberra has come to expect from Fashfest Allumni Mitch Thompson and his label Perpetually Five, it is a bit of spectacle, and that is certainly what was delivered for the finale of Fashfest2014 Night Two – The Scientist. 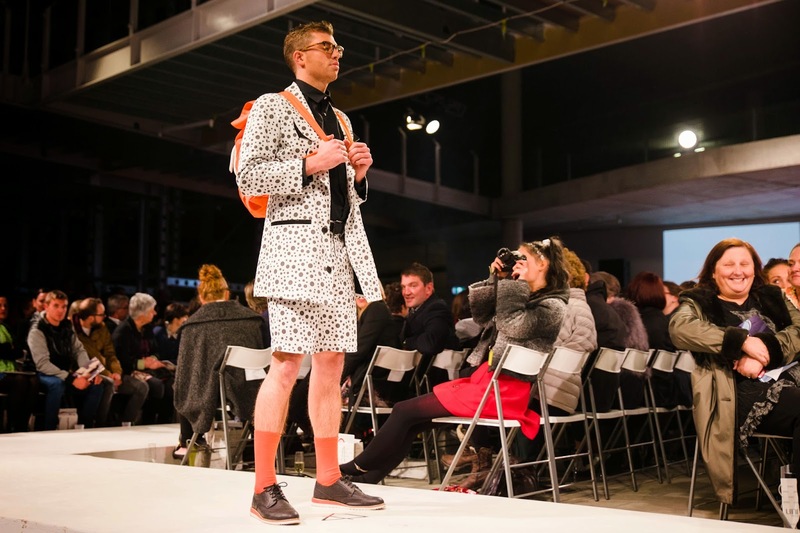 When I met with Mitch in April to discuss his collection for Fashfest 2014, he hinted that he would be offering a mostly monochrome collection based upon a well-known childhood object. As it turns out, the object in question was the childhood craft staple, the Googly Eye. A collection of garments based around a childhood craft object could have been garish, or contrived, or frankly unwearable. It is a testament then to Mitch’s skill as a designer then, that the clothes the he showed for Perpetually Five were stylish, engaging, and well cut, without being in any way clownish. The collection was highly wearable. Each item worked would work by itself in a wardrobe, but looked phenomenal in the looks that Mitch sent down the runway. 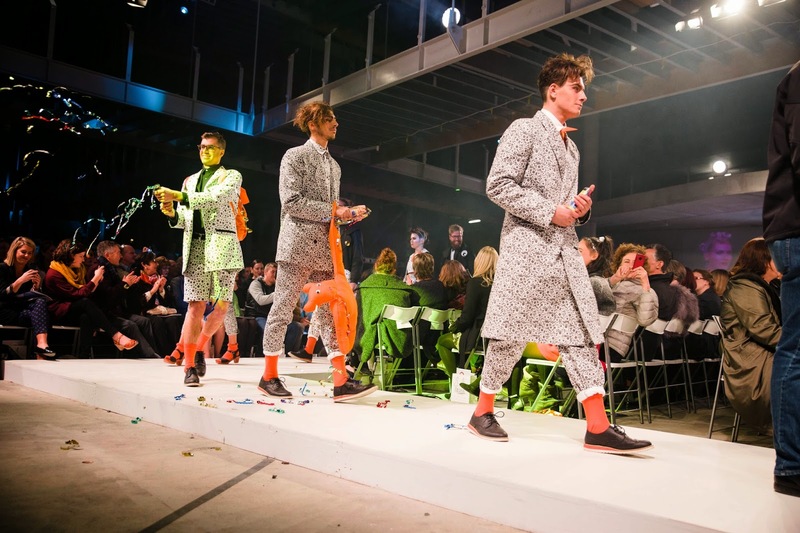 The cut of the garments was as interesting as the googly eye design inspiration, and the pops of neon orange used as an accent throughout the collection were stunning and perfectly jarring. Perpetually Five showed four men’s and three women’s looks, however as Mitch explained when I met with him, his clothes are designed so that they could realistically be worn by men or women depending on what the individual’s style is. 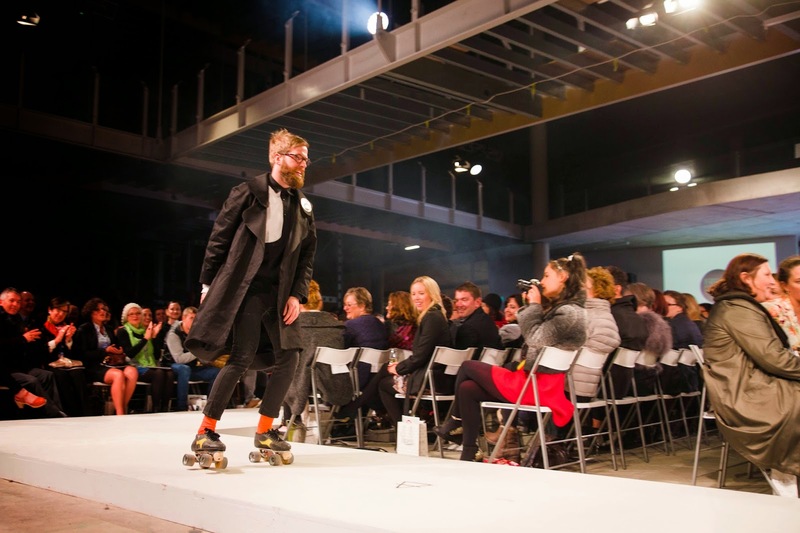 Of course, the spectacle that we were waiting for came not just from the collection, but from the bouncing choreography, the models shooting holographic streamers at the audience on their final lap, and from Mitch taking his bow ON ROLLER SKATES around the runway, making for a fittingly playful end to Fashfest Night Two. You can get your hands on Perpetually Five T-shirts throughthe website, or a more extensive range should be available at the Hustle & ScoutMarkets in July. Finally, a huge thanks again to Ash from Silque Photography& Design for these beautiful pictures. Reviewing a line of Adventure Wear/Equipment, from the lens of a luxury and menswear blogger, was always going to be problematic. 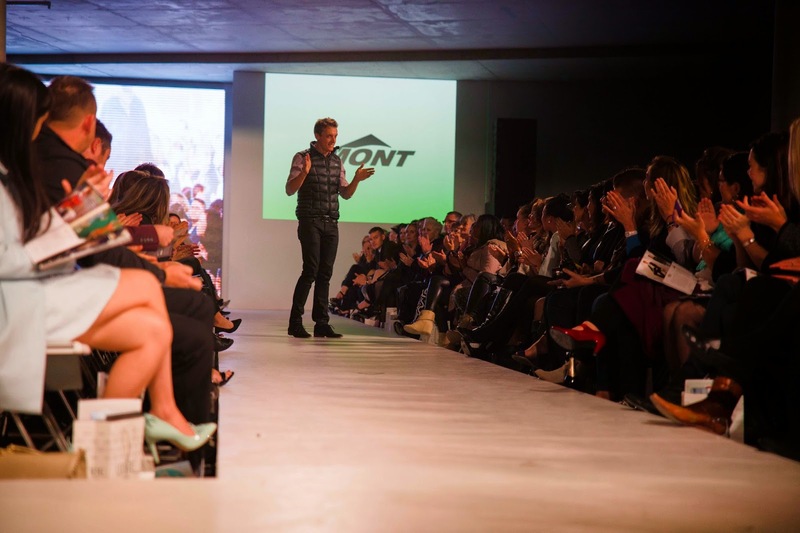 To be honest, it has been really difficult for me to review the collection presented by Mont at Fashfest 2014 objectively. In fact, with all my reviews I’m really asking two questions: Is it wearable, and would I wear it? As I am not a remotely active person, and the idea of going and climbing a mountain, sleeping in a tent, and most of all having to invest in special clothes so that I wont get frostbite and loose toes or worse; well, it just doesn’t appeal to me in the slightest. I will, however, do my best to keep the bias of my own sedentary lifestyle out of this review. 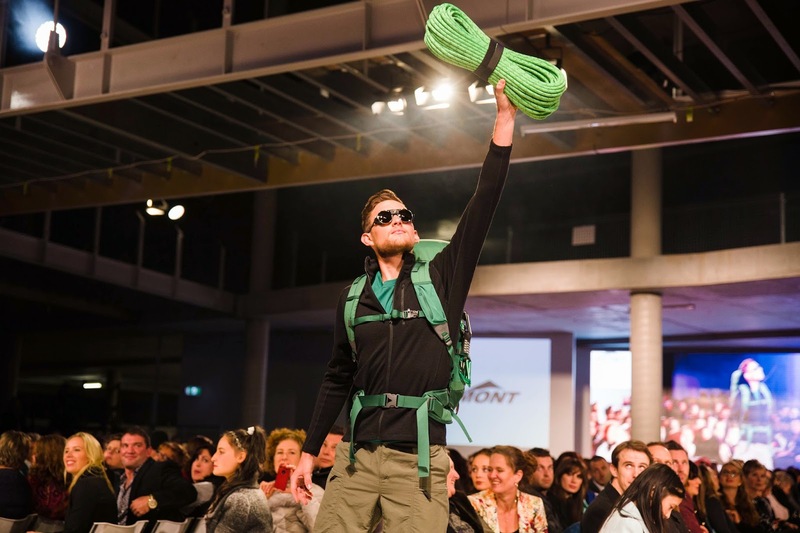 Starting with model Adam Ridwan ‘climbing’ his way up the runway brandishing a gorgeous anodized orange ice pick, and culminating with the models taking their final walk carrying climbing rope that linked them all together; the Mont collection was just really fun to watch. 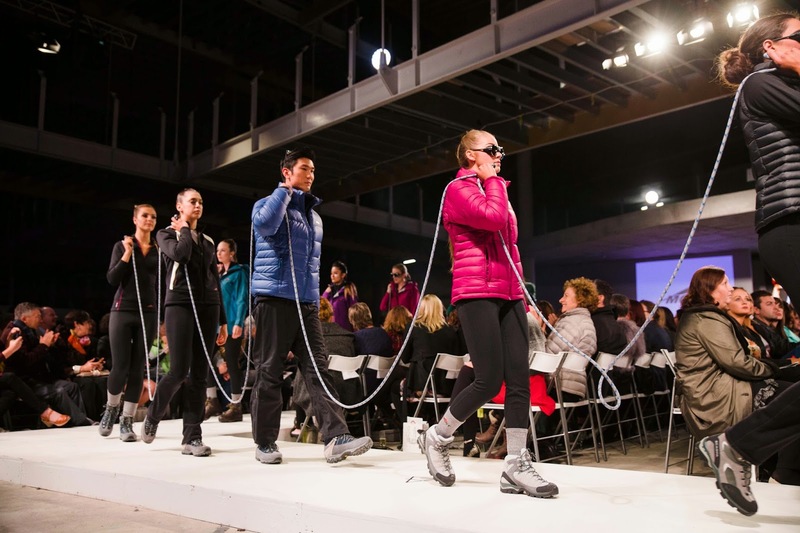 The models all looked great in the Mont gear, and importantly, believable in the adventure wear. 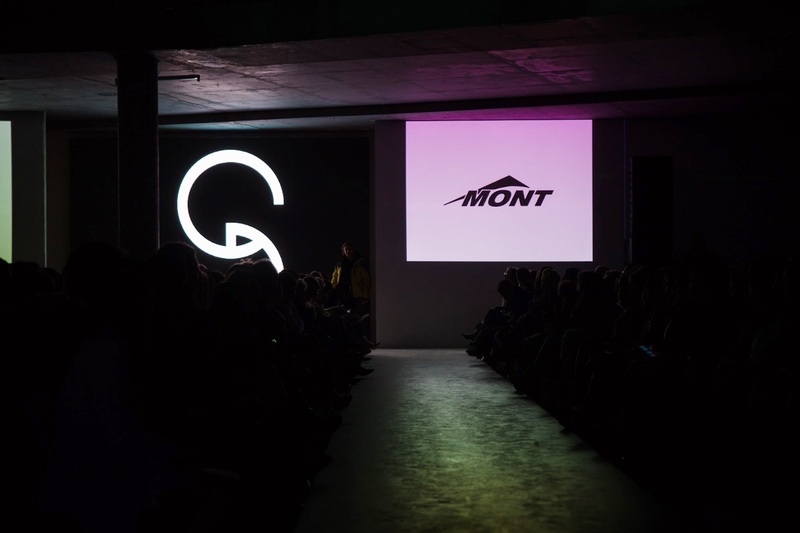 It’s important to note that Mont’s designs are not audacious, despite being adventure wear, and realistically, they’re quite chic for padded jackets in bright colours. Something that really struck me with Mont’s collection is that the clothes looks like they are made out of science. I don’t know the first thing about Gortex or moisture wicking fabric, but simply looking at the collection, you can tell that these clothes will keep you alive in extreme conditions. That said, this in-built survival science means that the clothes do not readily translate into street wear. Now, I know plenty of people who would happily wear anything from Mont around, to work, to dinner, to the movies; and that is fine for them. However, this is a personal style Blog with a focus on menswear and luxury, and I would personally have a hard time justifying the cost of a Mont jacket, given that I don’t do anything more climatically arduous than heading to the Farmer’s Markets at 7:00 AM in July. Wearing gear that it referred to as ‘Adventure Equipment’ to go and get a coffee from whatever cold-pressed-fair-trade-paleo cafe is in this week, is also incredibly naff. 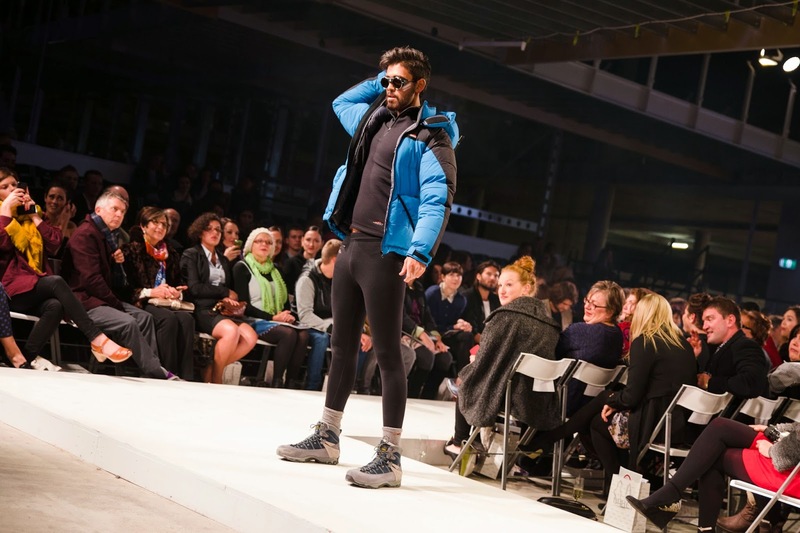 Special Mention must be made of the Mont sunglasses that a lot of the models wore on the runway, and which were a clear hit with the crowd, the models and the Fashfest 2014 team. I can see these being the next ‘it’ item here in Canberra. All in all, it was a really great collection, clearly well made and nicely designed; but I’m personally just not into it. If you’re looking to get your adventure on, Mont has a retail shopfront attached to its workspace at 14 Pirie Street, Fyshwick. They also have a website which is really up to date and easy to navigate as well. Again, a huge thank you to gorgeous Ash from Silque Photography and Design for the amazing photos! 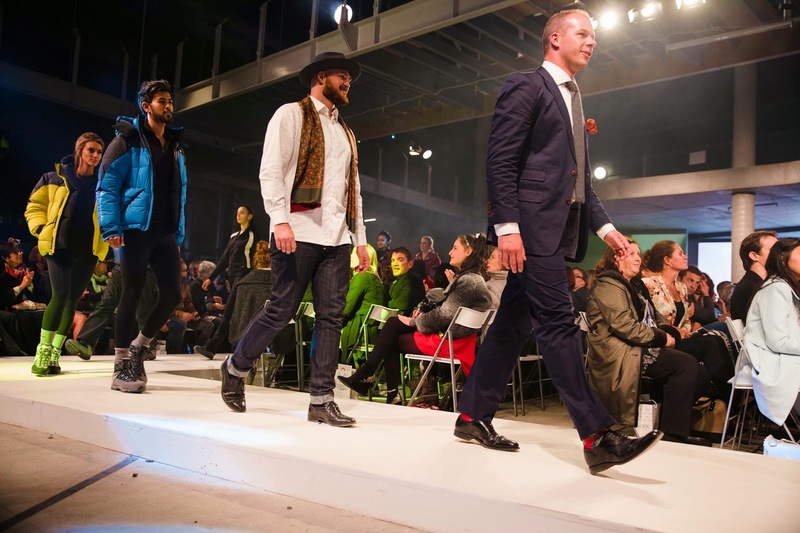 I am kicking off my in-depth reviews of the Fashfest 2014menswear collections with Braddon Tailors, as this was the first Menswear collection shown. The photos for this post were generously provided by the amazing Ash from Silque Photography and Design. I really enjoyed meeting Pip and Tarun before Fashfestkicked off for the year, and learning about their business and what it offers Canberra was a highlight of the year so far for me. I was really excited to see what the boys had in store for their runway show. 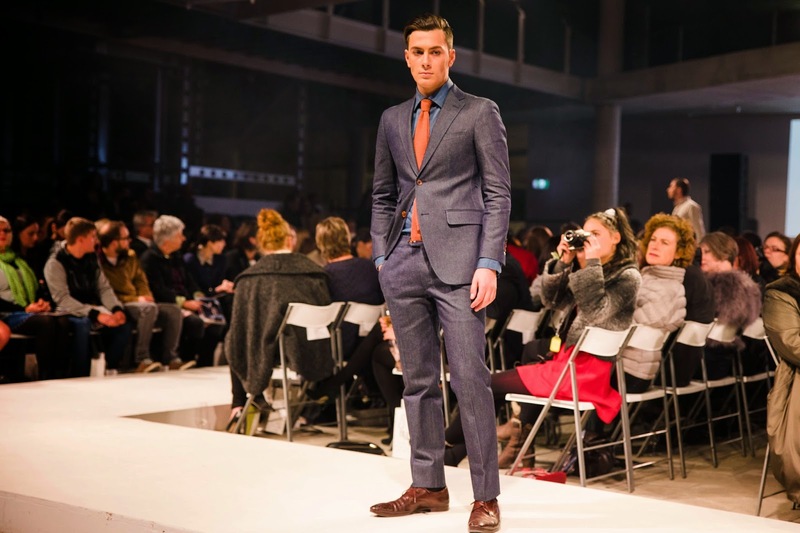 Braddon Tailors showed 9 looks, a mix of corporate, casual and luxe suiting and denim wear. 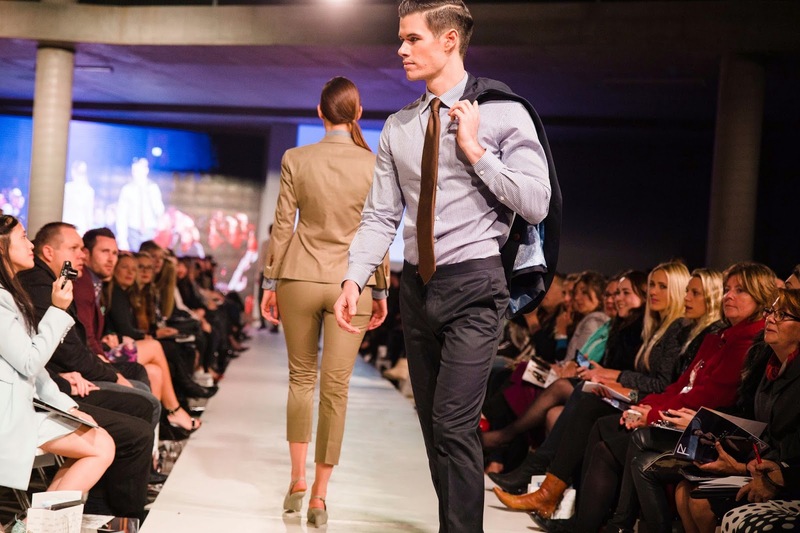 There were 7 men’s and 2 women’s looks, all done in polished perfection, as one would expect from Canberra’s premier tailors. 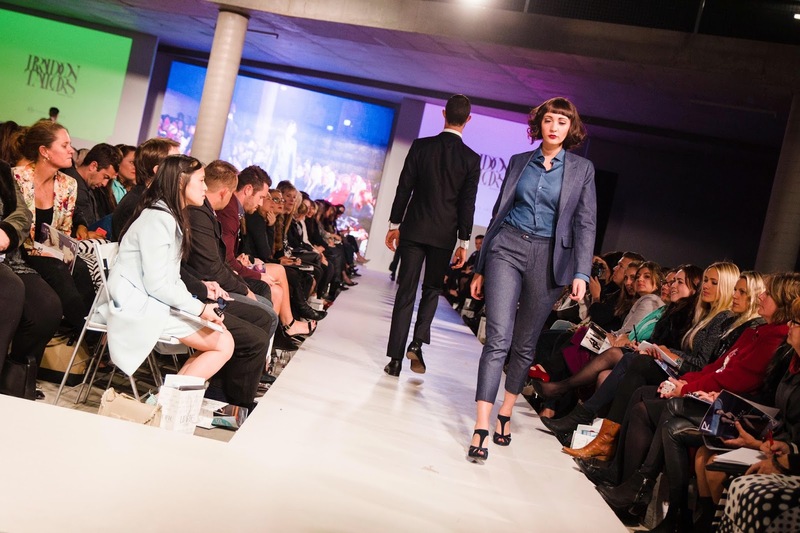 The men’s and women’s denim suits were especially good, showcasing the Braddon Tailor’s commitment to fine tailoring, luxe fabrics and fighting back against off-the-rack cuts that neither flatter nor support the body. 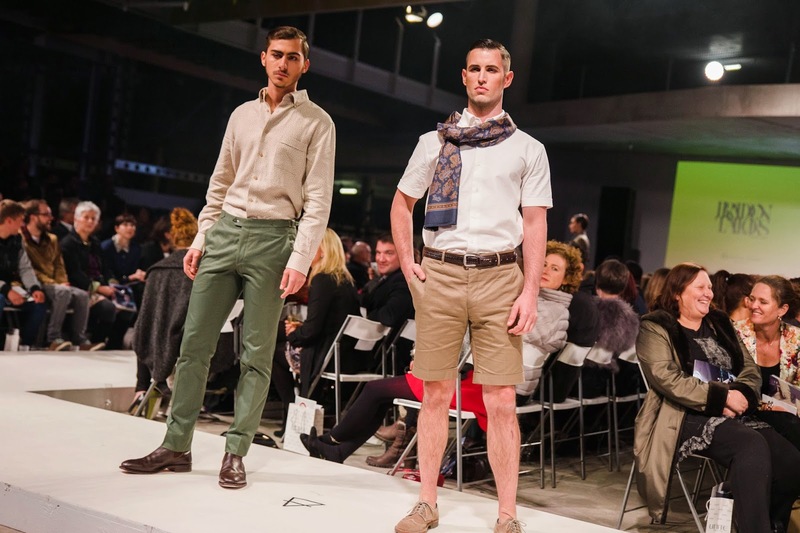 Pip and Tarun really showed that they are a force to be reckoned with on the Canberra Menswear scene. The looks that they showed were sleek and polished, but interesting. This was not the soulless suit-hire catalogue that you flicked through ahead of your twelfth-grade formal before ultimately picking the same tux as your mates. Special mention has to be made of the amazing neckwear supplied by Henry Carter for the show. The wool/silk neckties and pure silk scarves were the perfect accent to this collection. In fact, my favourite look of the whole collection was the model who wore shorts and short-sleeves with a beautiful Henry Carter silk scarf. It was so effortlessly chic, I can’t wait to try something similar myself. These are clothes that challenge you to be the best dresses man (or woman) that you can be; and the boys from Braddon Tailors are the perfect guides to get you there. 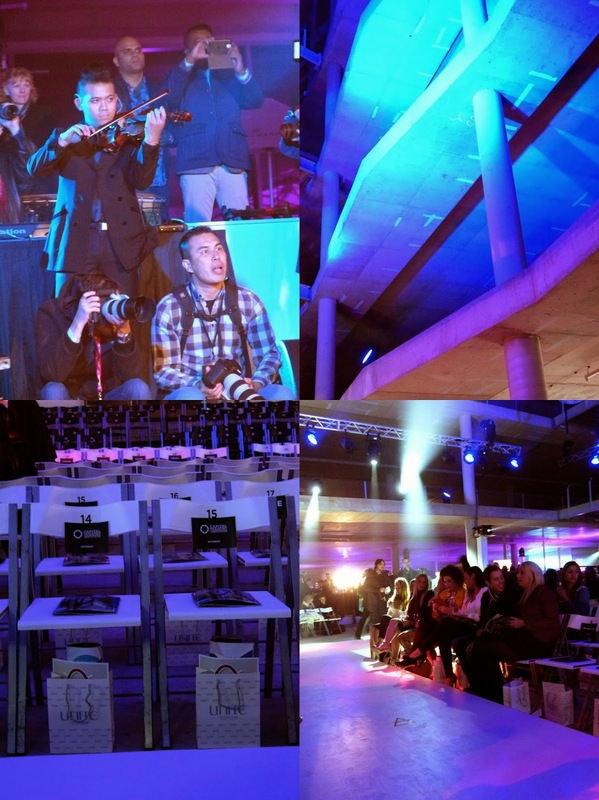 It is hard to believe that Fashfest 2014 has drawn to a close. Tonight was Night Four – The Visionary – and I have to say I can see why every designer who appeared tonight fit under this moniker. 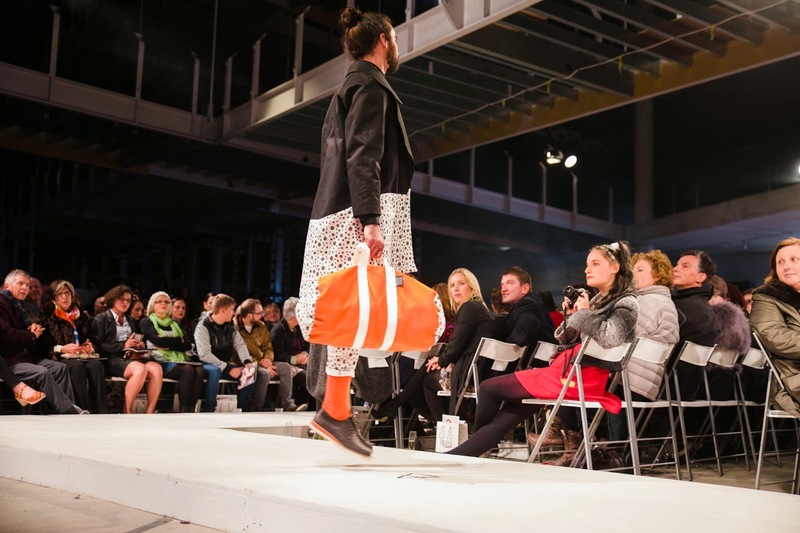 The atmosphere was positively thrumming at 3 Molonglo Drive, Brindabella Business Park at Canberra International Airport, and it was such a pleasure to be present to see-out the final night of Canberras most dynamic and exciting fashion event. The caliber of the designers shown tonight was unbelievable. I’ve really enjoyed myself every night of Fashfest 2014, but tonight was simply a step above. The passion and raw talent the designers of the seven collections invested in their garments made for a truly electric evening. Of the collections shown tonight, SZN and Corr Blimey were my favourites. Yasmin Masri X Jets Digital – Well-cut swimwear with interesting prints and accessories. SZN – Divine denim! Patchwork pieces made from salveged denim, re-worked and given stunning new life. Absolutely stunning work from one of Canberra’s most promising designers. 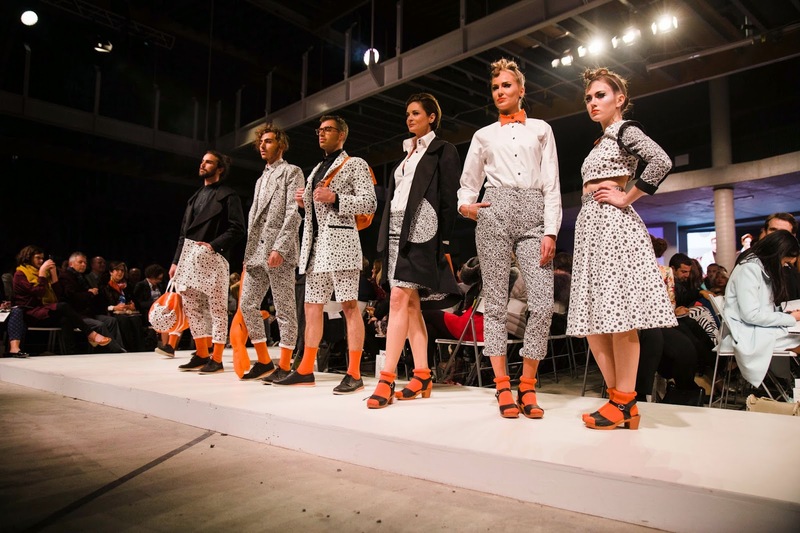 All Eyes On Us – Great collection beautiful womenswear. Loved the gold sequined top, and all the embroidered and embellished details. 4 Minutes 33 – a really interesting collection exploring different techniques and experimenting with texture and form. Inspired by Frida Kahlo. Hijab House – Beautiful fabrics in stunning cuts, perfectly styled. The craftmanship and design behind these beautiful clothes was evident. 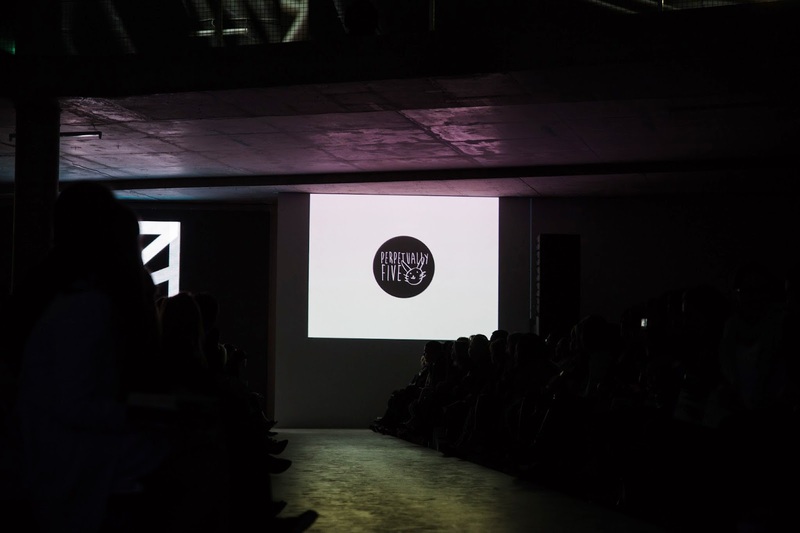 I loved everything that Hijab House showed – truly a stunning addition to Fashfest. Corr Blimey – Breathtaking. The Berlin collection was gritty, textural and perfectly refined. This was by-far my favourite collection of the whole festival. I’d like to finish with a heartfelt thanks to Clint and Andrea Hutchinson, the founders of Fashfest, and all of their team, for putting together such a fantastic event. I enjoyed myself thoroughly and I am already planning what I will wear to next year’s shows.